This one is for all of you who prefer shortbread style pie crust over the traditional flaky one. And thank you Germaine on behalf of everyone for asking for it! Stir together butter and sugar in a medium bowl. Add flour and salt and stir until mixture is dry and crumbly. Press dough into bottom and up sides of 9-inch pie plate. Freeze until firm – about 20 minutes. Bake, rotating halfway through, just until the crust turns golden brown – about 20 minutes. Let cool in dish on a wire rack. Make your filling and complete your pie. 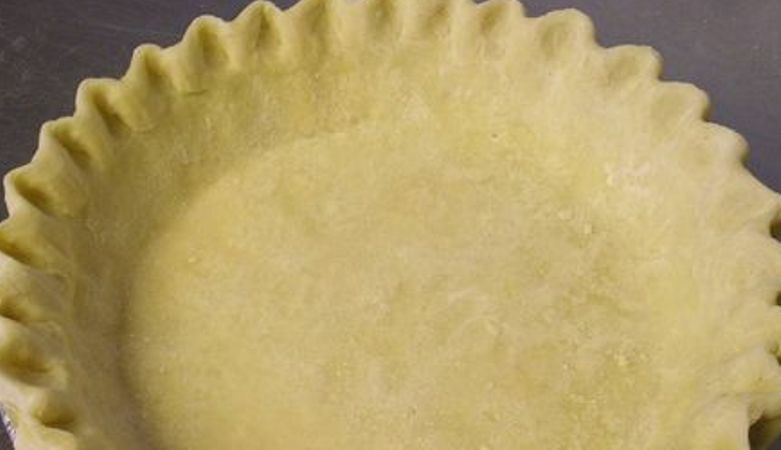 If your pie requires baking – i.e. pecan pie, cut the pie crust baking time to a half. Hope you will enjoy this recipe – please send me your comments, your input is always welcomed and much appreciated!